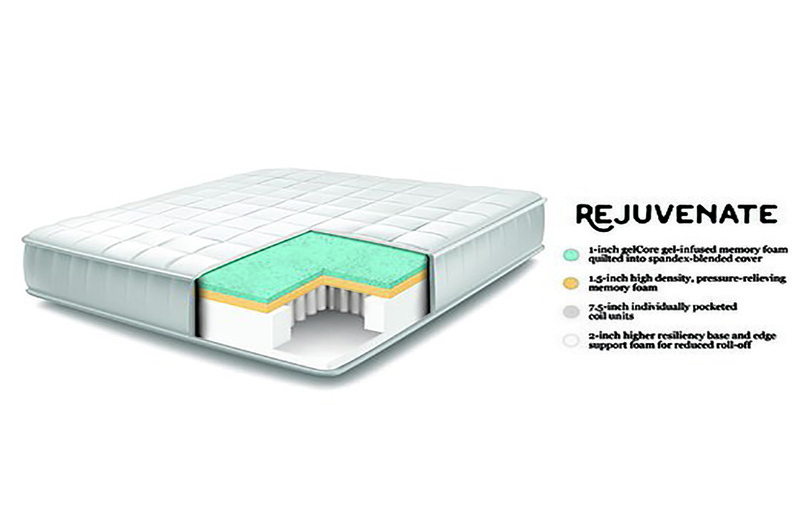 The "Rejuvenate" is one of the best-selling hybrid mattresses out there, with good reason. In terms of both dollar-for-dollar value and level of quality, it's a tough model to beat. A 2-inch higher resiliency base and edge foam reduce roll-off and provide stability. Atop that dense bottom layer is a high profile (7.5") individually-wrapped innerspring coil unit. Making it a true hybrid are the top two layers of high quality visco-elastic memory foam: 1.5" of high-density memory foam and 1" of gelCore gel-infused memory foam. The top layer of gelCore foam is quilted into a spandex-blended cover that serves as a second weapon in combating hot sleeping. Despite its high content of body contouring foams, the feel level of this premium, luxury hybrid mattress is in the medium-to-medium-firm range. It will provide deep support and stability but also provide some 'give' to your bodyweight. 1" gelCore gel-infused memory foam, quilted into spandex-blended cover. In many instances, a thick memory foam or hybrid mattress means a very soft mattress. With the very dense and innovative "Rejuvenate Hybrid", this is not the case. 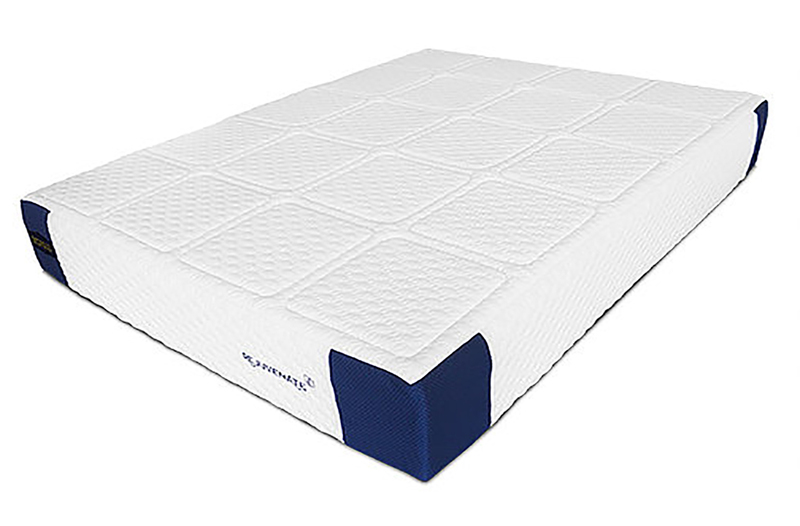 It's soft enough for those who wish to sink a bit into memory foam as a way of feeling cradled but, it's dense and sturdy enough to provide enough support for almost anyone. It's in the medium to medium-firm range and - despite having an innerspring unit - really has little-to-no 'bounce' to it. 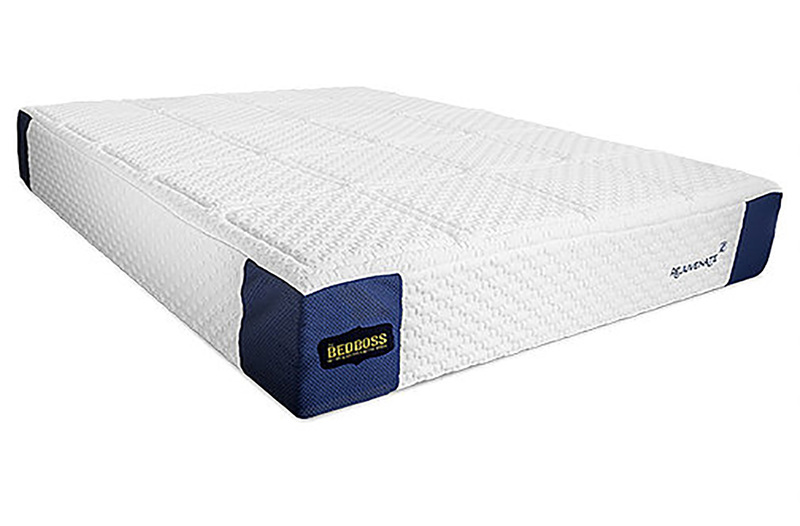 As with many other mattresses by The Bed Boss, the Rejuvenate is as good of a value as you will find. It carries a very cheap price tag - considering its high quality materials and cutting-edge design. The Bed Boss's take on gel-infused memory foam (gelCore foam) is, in my opinion, one of the higher quality products out there. Couple with that foam though, this model also adds a spandex cover; a durable way of adding a cooling property to the mattress. Bed Boss's products have a reputation for lasting. So, if you are one of two people sleeping in this bed in for its supportive, slightly firm qualities; you'll likely experience those plusses for a very long time. 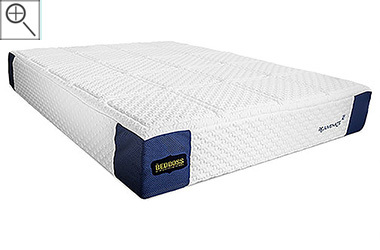 This isn't like many of the "one feel fits all" products out there... (which are usually just medium feel mattresses that break down) .... it's a specific buildup of scientificially-engineered layers and coils that are designed to work together, to provide support.